UPCOMING DATES/TIMES! Our contract ends soon and time is of the essence! 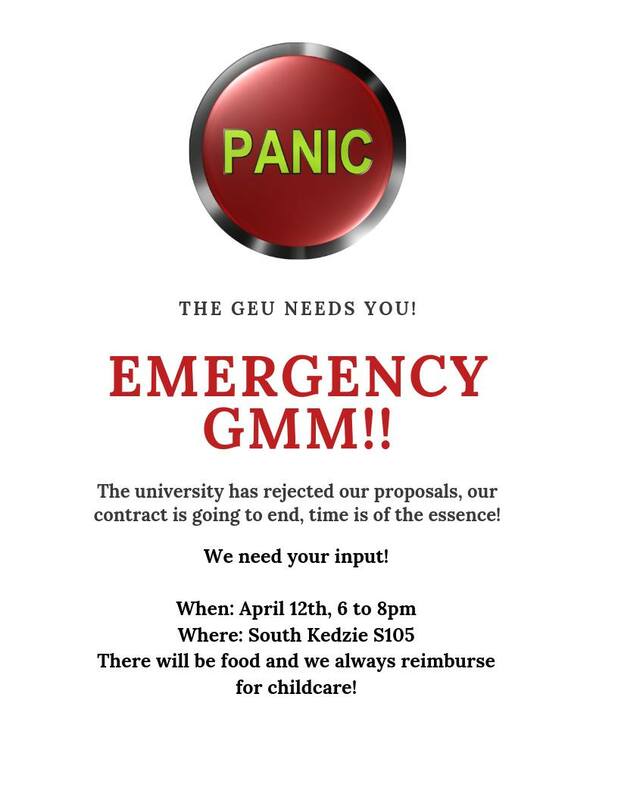 Join us for our Emergency GMM (details below) & the Board of Trustees Meeting that morning 4/12 8am on the fourth floor of Hannah Administration Building. Now is the time we need our voices to be heard more than ever! 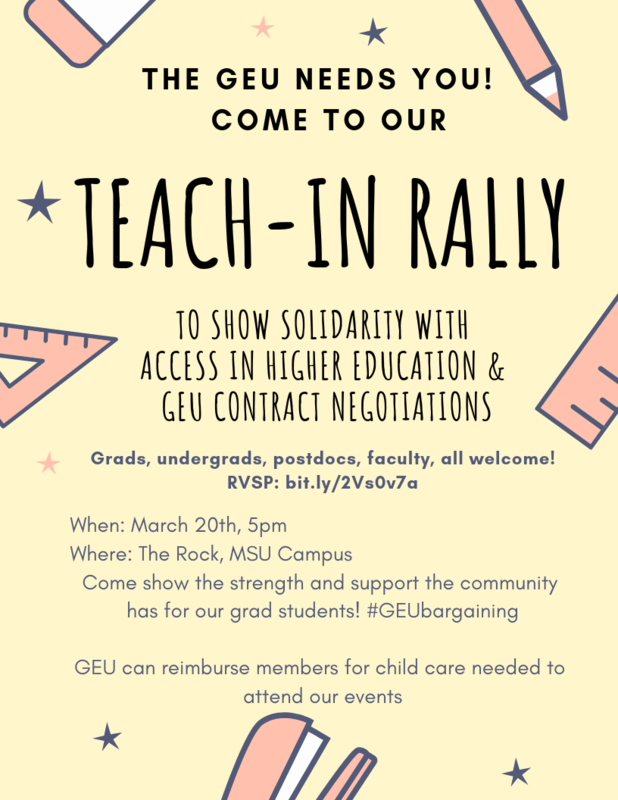 RSVP for the GMM here!